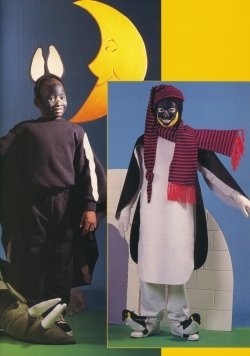 I enjoy making unique Halloween costumes for my children so it only follows that I would love a book that gives instructions on how to make easy Halloween costumes. 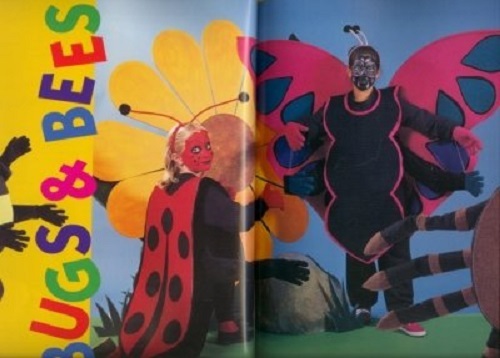 Not only does this book show you how to make costumes, but it also shows step by step instructions on face painting. 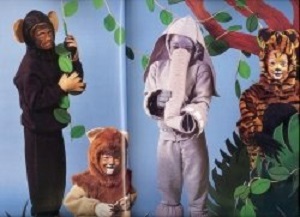 There are quite a few really adorable animal costume instructions in the Snazaroo Zoo costume book. 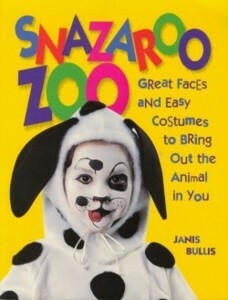 You really could have your own “zoo” of animals for Halloween if you have several Halloween costumes you need to make for children for Halloween. And, you will have oh so much fun watching them mimic the actions of real animals. 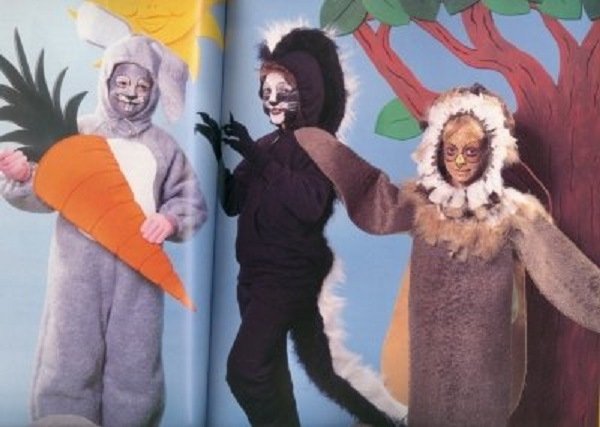 There are costume making instructions for 18 animal costumes in this book, as well as face painting instructions for each animal. One of the things I like best about this book is that it actually gives the costume jumpsuit pattern. Some craft or sewing experience is helpful when you transfer the pattern to grid paper, but if you have plenty of time and want to learn, this would be a great place to start. The author gives excellent instructions on how to transfer your pattern. For a beginner, the most difficult part of making the costume would probably be putting in the zipper. 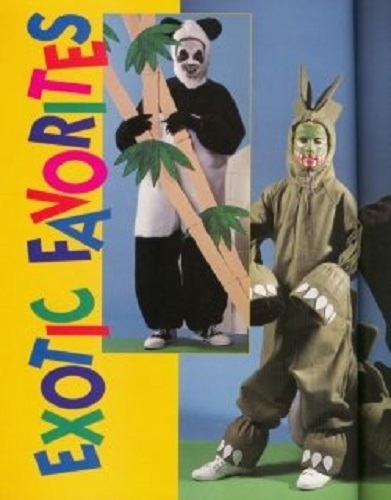 The author does give instructions on using Velcro instead of a zipper and since this is a Halloween costume, I would not hesitate to use this easier step. Basic knowledge of how to use a sewing machine and how to make a few basic stitches will be necessary, but again, a Halloween costume is a great place to learn. 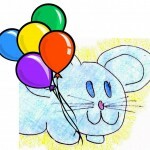 They are very “forgiving” because a costume is often not fitted. 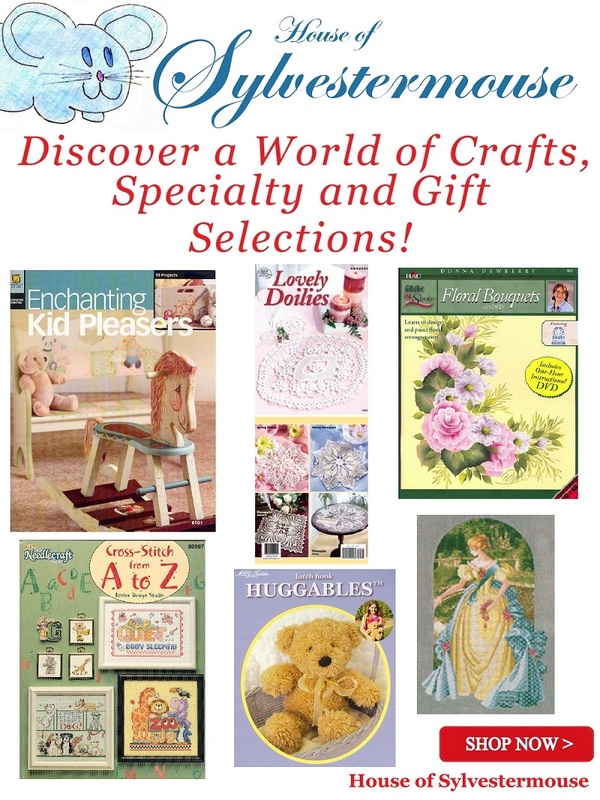 Plus, sewing mistakes could be covered with accessories if necessary. If you don’t have time or simply don’t want to make the jumpsuit, it suggests purchasing a sweat suit and making the hoods, shells, wings or other accessories. Yes, some sewing will be required to make the hood, but it is a lot of fun and there is a tremendous sense of accomplishment when your child walks out the door in a costume that you actually custom-made for them.